The Time Living Florida bed frame is available in four standard UK sizes single, small double, double and king size. 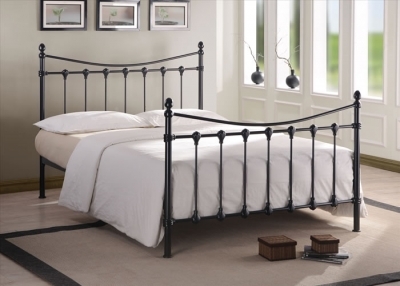 This Victorian style bedstead is manufactured using a durable metal then completed in a black finish. 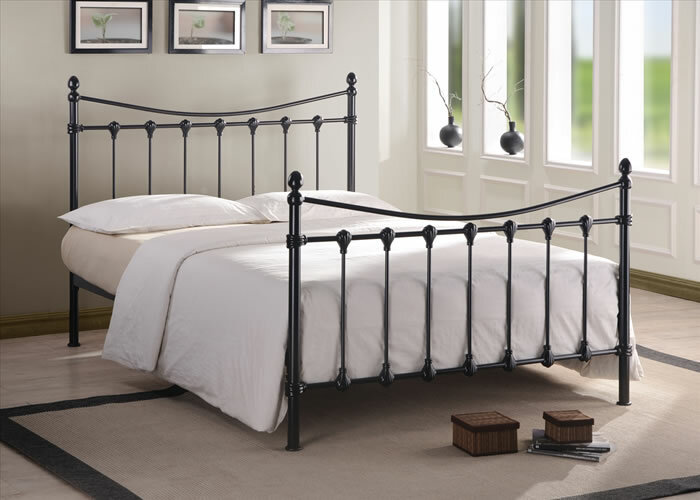 This piece of the time living collection features a high headboard and low foot end both with a classic curved and straight bars then topped with circular finials. The Florida bed has a sprung slatted base designed for comfort and built to house a UK standard mattress.